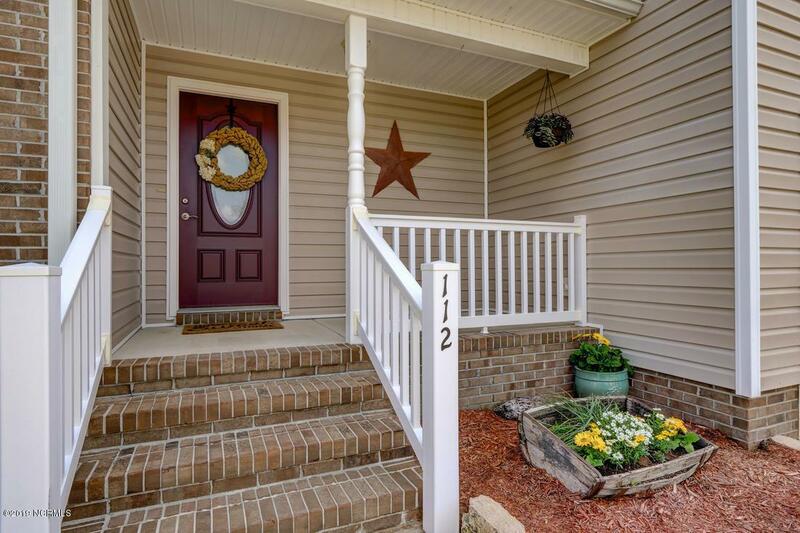 Traditional, Carolina Country Charm at its best! 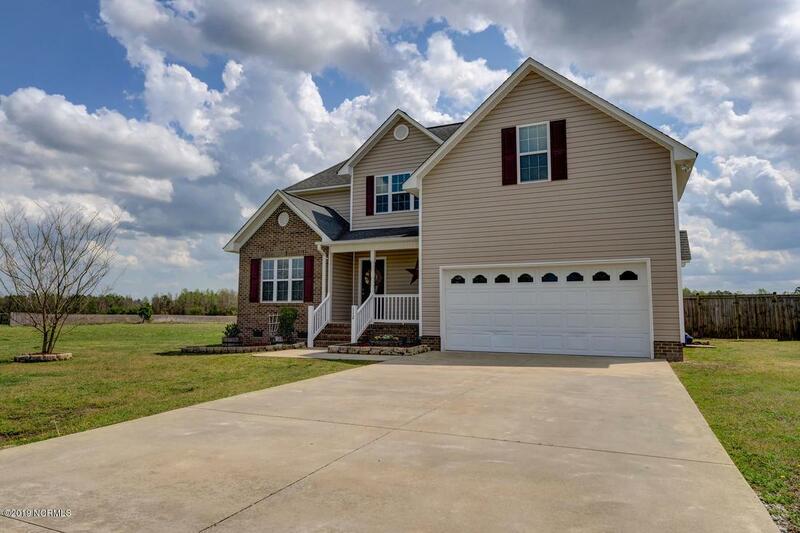 Sitting on .6 plus acres with a gigantic back and side yard, you will immediately be drawn to the curb appeal that this home offers clean, custom landscaping. Upon opening the front door, you are met with the sprawling foyer. The wood lined stairwell will take your breath away! Leading into the spacious Formal Dining room lined with beautiful crown molding is the perfect place for gatherings. Blanketed by natural sunlight and centered with a fireplace, the living room is open to the kitchen, making entertaining easy. Elegance meets functionality in this homes kitchen, which features upgrades such as stainless-steel appliances, views to the back yard, and plenty of cabinet and countertop space.For ultimate comfort and accommodation, escape to the Master Bedroom suite which features a tray ceiling lined with crown molding. The spa-like Master Bathroom showcases a walk-in shower and soaking tub, tile flooring, and a dual vanity. No need to worry about room sizes here, as the additional bedrooms offer plenty of space! If you enjoy spending time outdoors, you will absolutely love this yard which is surrounded by a 6ft privacy fence, and a huge deck perfect for those summer time BBQ's. 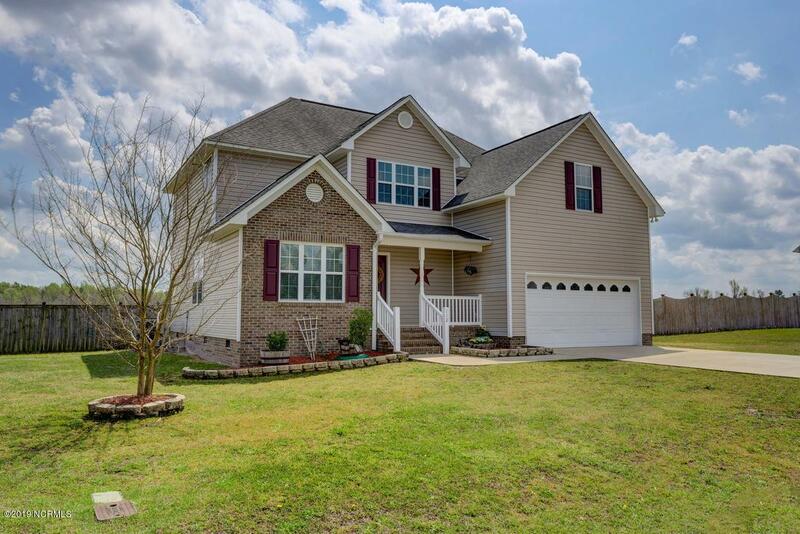 This home is located in the prime location Just outside of city limits, yet close to area shopping, dining, entertainment, and local Marine Corps base Camp Lejeune! Call today for your personal tour! 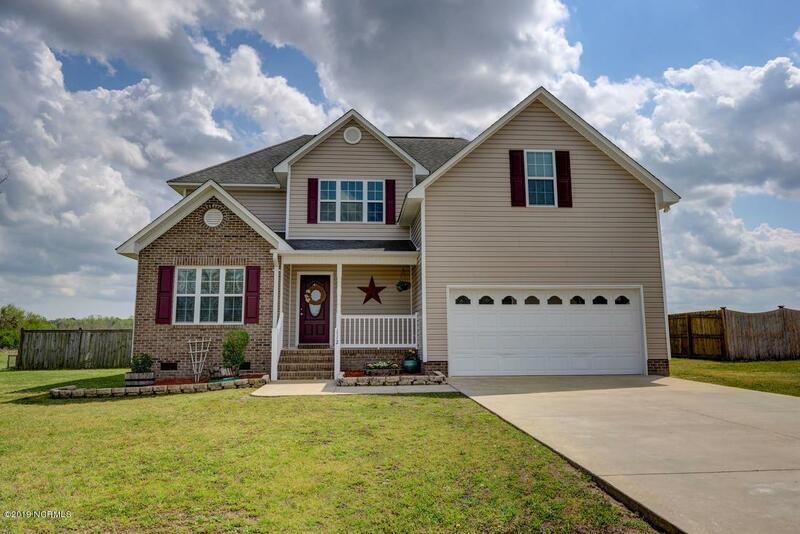 Listing provided courtesy of Scott J Morrison of Century 21 Sweyer & Associates.